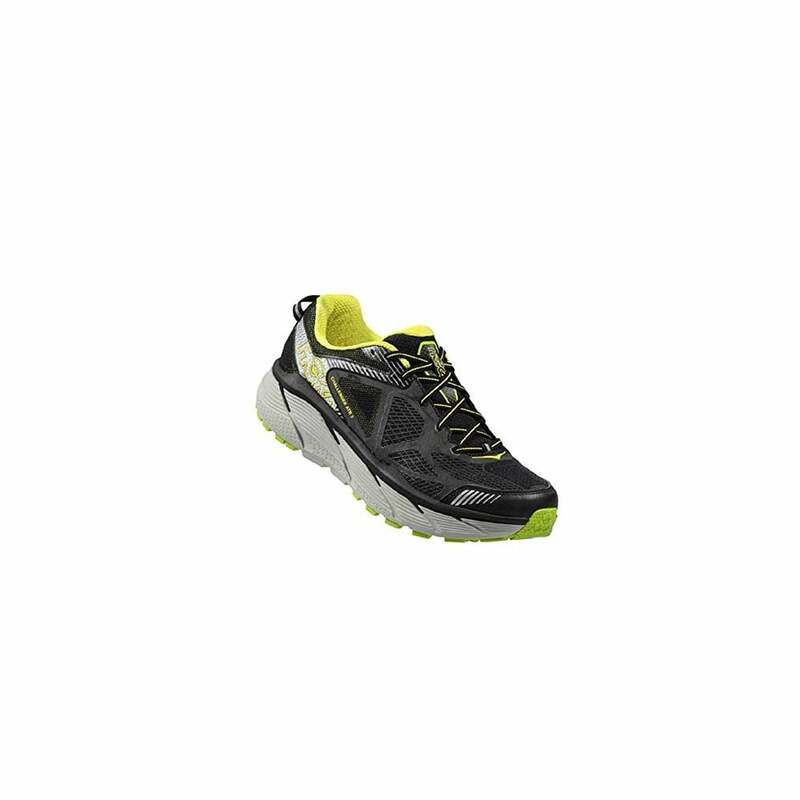 Hoka One One Challenger ATR 3 Black / Bright Green / Citrus The Challenger ATR 3 is a versatile performer and this shoe excels in the mountains, on the roads and everywhere in between. Dubbed the Hoka One One Clifton for trail running, the updated Challenger ATR 3 is cushy, fast and very surefooted. The now well established HOKA midsole geometry and early stage mid-sole rocker promise a smooth ride, and the 'ATR 3's' supportive fit through the mid-foot makes for an even more comfortable experience on road or trail. The breathable upper with reinforcing overlays, and rubber-tipped lugs for all-terrain traction, complete the offering. 50% More CushioningEngineered midsole volume which is up to 2.5X the volume than standard running shoes, made with performance-specific cushioning material. Benefit - Excellent shock absorption and an inherently stable ride. Meta-RockerMeta-Rocker midsole geometry, specifically engineered with a low heel-toe differential and a sculpted outsole radius in the heel and toe, creates a unique fulcrum effect and encourages a guided foot gait cycle. Benefit - Supports a runners form, and encourages a continuous Positive Gait Speed roll from heel-strike to toe-off. Active Foot Frame - Uniquely engineered Active Foot Frame midsole geometry allows the foot to sink deeply into the shoe’s midsole. Benefit - Designed to provide integrated stability which is adaptable to a wide range of feet and running styles. Weight: 269g based on size EU 42 2/3 and may vary depending on size.